In our previous lesson, you learned how to graph one variable inequalities and how to solve one-step inequalities that involve addition or subtraction. 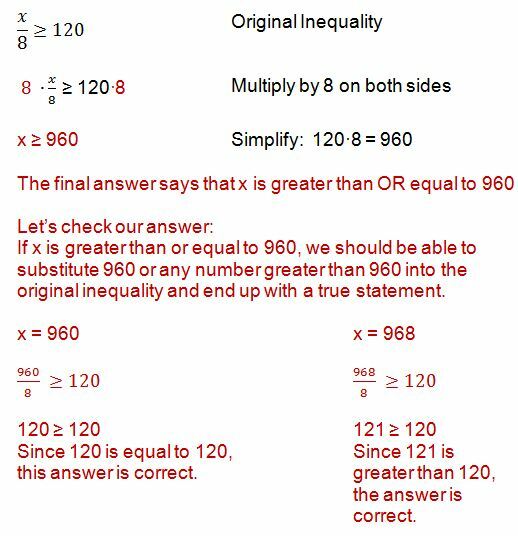 In this lesson, we wil continue our study of inequalities, but learning how to solve an inequality that involves multiplication or division. Although many of the steps are the same as solving equations, you will learn one very important rule in this lesson, so pay close attention. 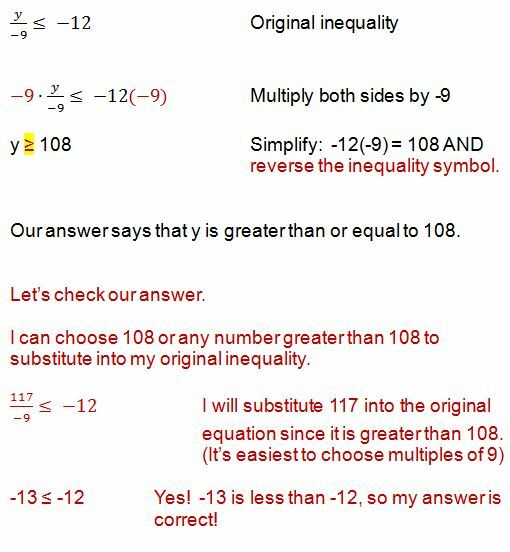 Before we begin, you may want to review the inequality symbols and how to graph one variable inequalities. Our first set of examples will focus on multiplying or dividing by a positive number. 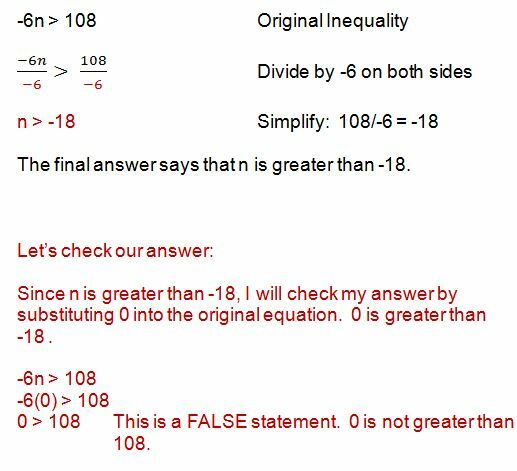 Let's take a look at an inequality that involves dividing by a positive number. Notice how when we multiply or divide inequalities by a positive number, our solutions are correct. We follow the exact same rules as we follow for solving one-step equations. 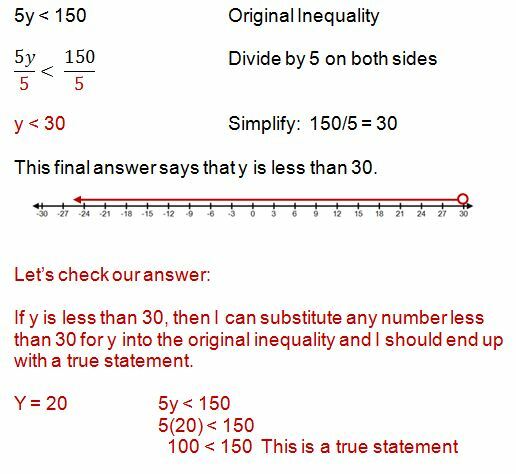 Pay careful attention as we take a look at a few examples where we will multiply and divide by a negative number when working with inequalities. Oh No! That example didn't work! Why? We followed all of the same rules for solving equations. Well.... the reason is that we have a special rule that we must follow when multiplying or dividing by a negative number when working with inequalities. Now, let's take a look at the same Example #3, but this time, let's follow our new rule. 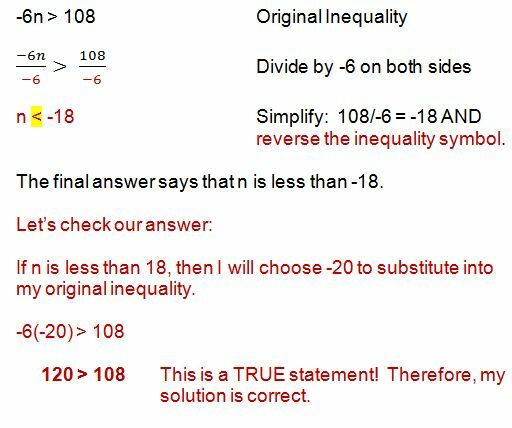 Notice how when I checked my answer, my solution was correct after I reversed the inequality symbol. This rule ONLY applies when you are multiplying or dividing by a negative number! Let's take a look at one more example where we will apply our rule because we will be dividing by a negative number. Notice how our new rule works when we multiply by a negative numberd too! Congratulations - you now know how to solve an inequality and an equation!